There are a lot of condominiums under construction and even more in the works in Downtown Miami and the surrounding neighborhoods right now. Each has its own architectural flavor that adds to the Miami skyline and appeals to different buyers who want to experience living in Miami. Centro Lofts epitomizes today’s urban life in one of the most exciting tropical cities in the world. Officially under construction and set to be completed in late 2015, the 36-story, 352-unit project is an edgy, new Downtown Miami condominium project with loft loft-style residences and a vibe that is unlike any other in the city – in the entire southern quarter of the US. The people bringing the ideas to life include some of the development world’s most innovative developers, architects and designers. Newgard Development Group is the genius behind wanting to develop Centro and has partnered with Seiger Suarez Architects and forward-thinking designer Yves Behar to create one of the most urban-influenced condominiums. One of the other major condominiums for which they are involved is Brickell House. 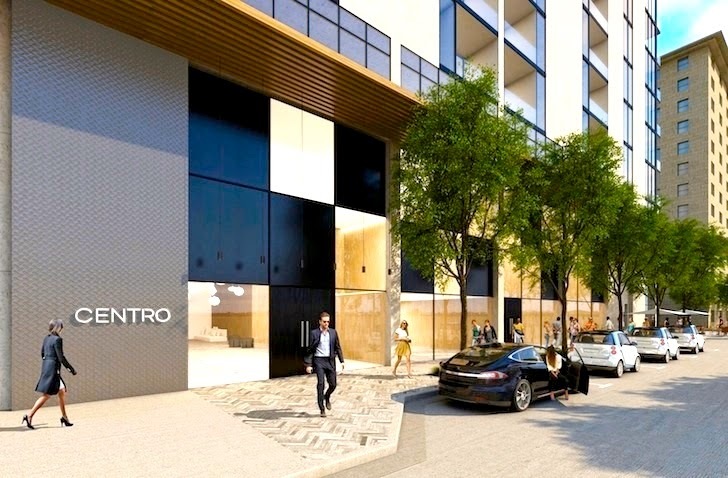 Centro is located in the heart of Downtown Miami at 151 SE 1st St Miami, FL where residents who want an urban pedestrian-friendly lifestyle in the center of everything. Gusman Center for the Performing Arts, Bayfront Amphitheatre, and the American Airlines Arena are all within a short walk in addition to the upcoming Museum Park, Brickell, and the Arsht Center for the Performing Arts. restaurants, shopping, and the beautiful Bayfront Park and Biscayne Bay. On top of this, the major transportation hubs of Miami are less than 15 minutes from Centro. Centro Lofts is the first designated car2go hub in Miami. car2go is a new approach to metro transportation where customers have access to vehicles via a mobile app or internet to use to simply reserve it, drive it and park it. With 240 vehicles set to be available at the company’s newest hub, car2go Miami will be the eighth US city to jump on board with this innovative idea of transportation. There is no need to own a vehicle when living at Centro – when residents want to go anywhere that is a bit far to walk, car2go is a great way to go. Even with so many options and amenities, the idea behind Centro is to make them more affordable so that they appeal to the type of buyers who want to live in the center of all of the action for which Miami is known. Construction is tentatively slated to be complete by the end of next year – 2015. The most recent photos show that they have gone up three floors with construction so far. At this point, there are currently 10 units listed for sale with list prices between the upper-$200s and upper-$400s for one and two-bedroom lofts. Centro is perfect for first-time buyers as well as investors in the market for Downtown rental properties. Without a doubt, Centro Lofts Miami offers a new twist to Miami real estate to bring a contemporary element to what is considered one of the most exciting cities in the country or world. Buying at Centro Lofts is the perfect opportunity to get in on the ground floor of a new idea which will become more prevalent throughout the area. This is so unique content that I have been looking for it from couple of days. Your sharing is new and very useful.thanks for sharing this.